After years of protest and public debate, the Electronic Logging Device (ELD) mandate is expected to go into effect on December 18, 2017 and the trucking industry is being advised to prepare for the potential impact it will have on many aspects of operations. The FMCSA says it’s taking a “phased approach” to rolling out the mandate, which means the requirements will be fully implemented immediately but violations will only be penalized by fines or citations during the initial period from December 18, 2017 to April 1, 2018. However, penalties for ELD violations incurred after April 1, 2018 could potentially result in forcing a commercial vehicle to be put out of service and this would not only affect the carrier’s Safety Measurement System (SMS) value but also significantly impact the carrier’s insurability. 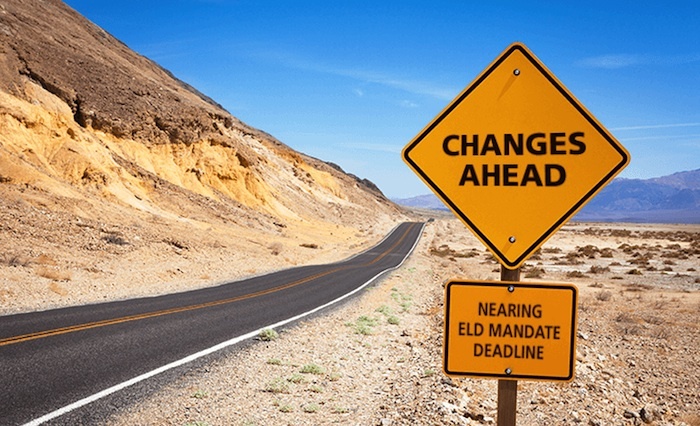 Another important item to note is that the ELD mandate will not immediately apply to all drivers. Those currently using a compliant Automatic On-Board Recording Device (AOBRD) may continue to do so until December 2019 and drivers who aren’t currently required by regulation to complete driver logs for more than 8 days during a month may continue to use paper logs. Other exceptions of those allowed to continue using paper logs are drivers of trucks manufactured before 2000 and drivers who provide drive-away-tow-away services. However not everyone in the industry opposes the mandate. According to a recent survey conducted by DAT, 39 percent of carriers and owner-operators are planning to comply with the mandate before the deadline and another 9 percent already have.